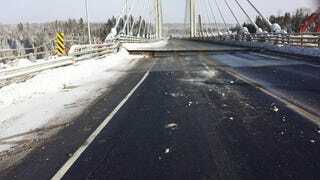 So apparently, in this one spot where there’s only one road connecting Canada, the bridge broke and is closed for an “indefinite time”. So, eastern and western Canada are now completely separated due to one bridge. Nice.